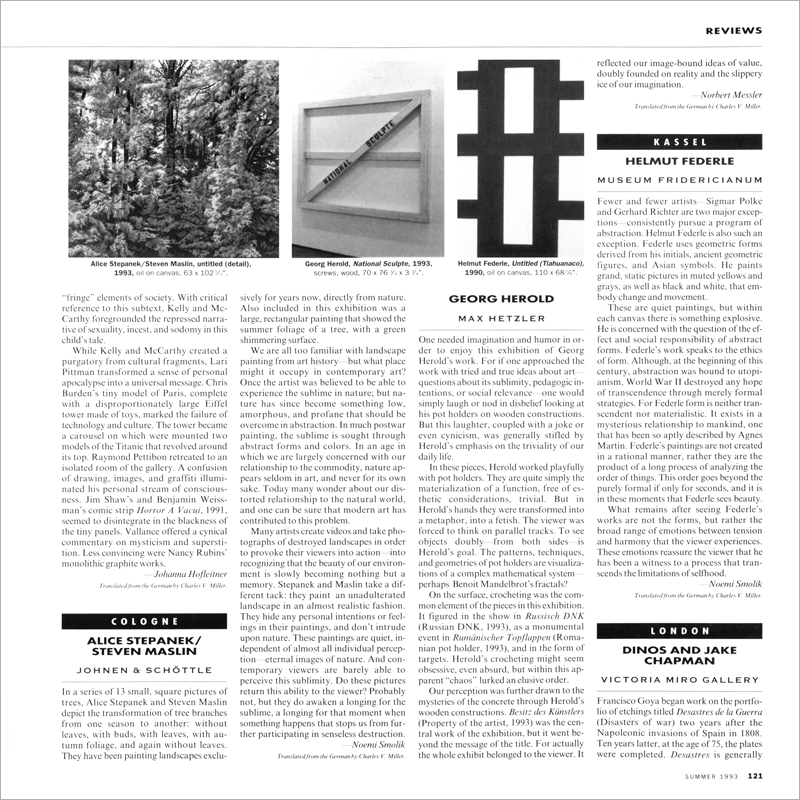 In a series of 13 small, square pictures of trees, Alice Stepanek and Steven Maslin depict the transformation of tree branches from one season to another: without leaves, with buds, with leaves, with autumn foliage, and again without leaves. They have been painting landscapes exclusively for years now, directly from nature. Also included in this exhibition was a large, rectangular painting that showed the summer foliage of a tree, with a green shimmering surface.